The Ministry of Transport test (usually abbreviated to MOT test) is an annual test of vehicle safety, roadworthiness exhaust emissions. 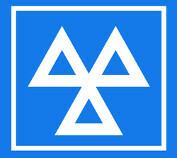 All UK cars 3 years old and over require a valid MOT certificate by law. The MOT scheme is a road safety measure designed to ensure that all cars, motorcycles and light goods vehicles more than 3 years old are properly maintained. At least once a year a vehicle must be examined by an authorised MOT test station to make sure that they comply with key safety requirements. The link below will open a new window to the UK Government MOT checking service, you may then enter your vehicle details to see the date of the last MOT test, the mileage at the time of the MOT test and the expiry date of the MOT test. Is your car's MOT due? Why not bring your car along to Ickenham Motor Company; we are a VOSA Approved MOT testing centre. For added conveniences, if your car is also due its annual service, we can undertake that at the same time if required and we also offer a full range of automotive services should your car need any repairs (see Vehicle Servicing). Has your MOT has already Expired? If your MOT has expired you can’t drive your vehicle on the road until it’s passed the MOT test and you could be prosecuted if caught, the only exception is if you’ve already booked an MOT and are driving your vehicle to the test centre. So if your MOT has expired its important you give us a call (Contact Us) before your bring your car down so we can make a formal appointment for you.